Maine ranks 49th in the country for access quality of broadband internet service. Only one state has less access to internet service than we do. In the Katahdin Region, three towns are working hard to change that. Our Katahdin recognizes that high-quality, affordable fiber broadband service is essential to growing and diversifying the economy. We have world class mountains, lakes, rivers and woods to play, hunt and fish in. Imagine the possibilities if individuals and entrepreneurs could link into the digital economy too! Creating a local broadband utility is a creative first step toward building a fiber network that will do just that. 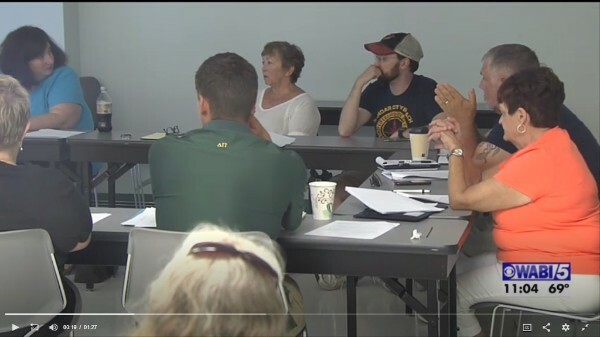 Our Katahdin’s efforts to bring better internet service to the towns of Millinocket, East Millinocket and Medway began back in 2016 with the convening of a Broadband Committee. The Broadband Committee includes town officials, business owners, educators and interested citizens. The Committee applied for a Broadband Planning Grant through ConnectME, and worked with Axiom Technologies to develop a phased plan to install wi-fi hotspots in the three downtowns, expand fiber broadband in the business districts, and eventually improve internet service at the Lakes. There are currently three free wi-fi hotspots on Penobscot Avenue in Millinocket, one on the Town Hall in East Millinocket, and one is planned for the Recreation Area in Medway. Meanwhile, two other rural towns in Maine have made headway on forming a broadband utility of their own to lay fiber and bring better internet to their residents and businesses. Baileyville and Calais formed the Downeast Broadband Utility, the first of its kind, using a new statute in Maine (30-A MRSA 2203.9). This statute allows two or more parties to enter into an agreement to establish a regional municipal utility district to provide Broadband and issue revenue bonds to support the construction, operation and maintenance. This means that two or more towns can construct and own their own broadband utility and access new financing mechanisms. Since January, Our Katahdin, with the support of Maine Development Foundation through the FOR/Maine initiative, has convened meetings with town officials from Millinocket, East Millinocket, and Medway, as well as the towns' Broadband Committee, to learn about the statute, financing mechanisms, and the benefits of fiber broadband. Over the summer, the group met with Dan Pittman, a lawyer from Eaton-Peabody who had experience drafting the bylaws and joint exercise of powers interlocal agreement for Baileyville and Calais. Mr. Pittman drafted bylaws and an interlocal agreement for Millinocket, East Millinocket, and Medway to form a regional broadband utility as well. Last week, on October 30th, the towns of Medway and East Millinocket both voted to sign onto the interlocal agreement, joining the town of Millinocket, which voted in favor on October 11th. With all three towns agreeing to enter into the interlocal agreement, the creation of the Katahdin Region Broadband Utility begins! For more information about a regional broadband utility, please visit http://www.ourkatahdin.com/broadband.